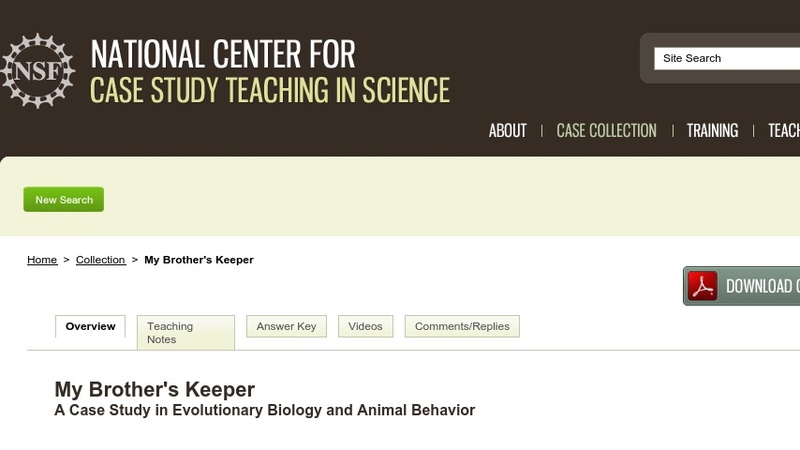 In this interrupted case study, students work in teams to interpret behavioral data with respect to evolutionary biology. Specifically, the case examines the behavior of alarm calling in a certain type of squirrel, Belding's ground squirrel, which was first reported by Paul Sherman in Science magazine in 1977. The case is appropriate for use in animal behavior, ecology, evolutionary biology, or introductory biology courses.